Monolith sanitary modules for wall hung wash basins. For use in wall inlet connections. Two holes for wall-mounted washbasin taps with center distance 100 mm and mixer to the right or centre distance 80 mm and mixer to the left. For concealed wall-mounted taps from Dornbracht, Hansa, Hansgrohe, KWC and Villeroy & Boch, other manufacturers may be compatible. For use with wall-mounted taps from Vola, with mixer on the left, other manufacturers may be compatible. For wall-hung basins maximum width of 700 mm. Not compatible for ceramics using metal bracketry. Wall inlet connection height: 450–600 mm from finished floor. Water supply connection height: 500–650 mm from finished floor. Washbasin installation height: 820 mm from finished floor. Washbasin fastening distance 130–310 mm, enlargeable to 450 mm. Wall-mounted tap height: 1040 mm from finished floor. Integrated mounting rail for wash basin. Galvanized leg supports, adjustable, premounted. Wall hung washbasin, wall mounted tap and mixer right, drawer left. Wall hung washbasin, wall mounted tap and mixer right, drawer right. Wall hung washbasin, wall mounted tap and mixer right, drawer left and right. 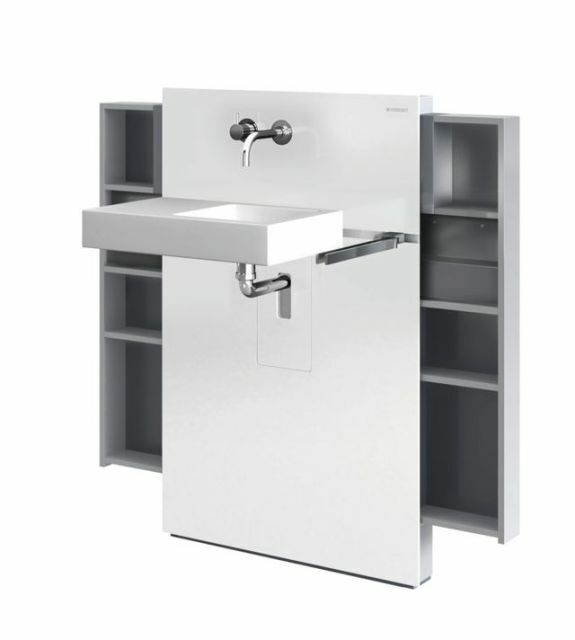 Wall hung washbasin, wall mounted tap and mixer right, without drawer. Wall hung washbasin, wall mounted tap and mixer left, drawer left. Wall hung washbasin, wall mounted tap and mixer left, drawer right. Wall hung washbasin, wall mounted tap and mixer left, drawer left and right. Wall hung washbasin, wall mounted tap and mixer left, without drawer.